Does This Sound Like You on the #Golf Course? Trying to concentrate on that ever-important putt which will place you 1-up on your playing buddies, eyeing from every angle, you are finally ready to swing when you say to yourself, "hmm, maybe just one more cup to the right!" Naturally, you miss right. Ahh, the mental game of golf wins again! 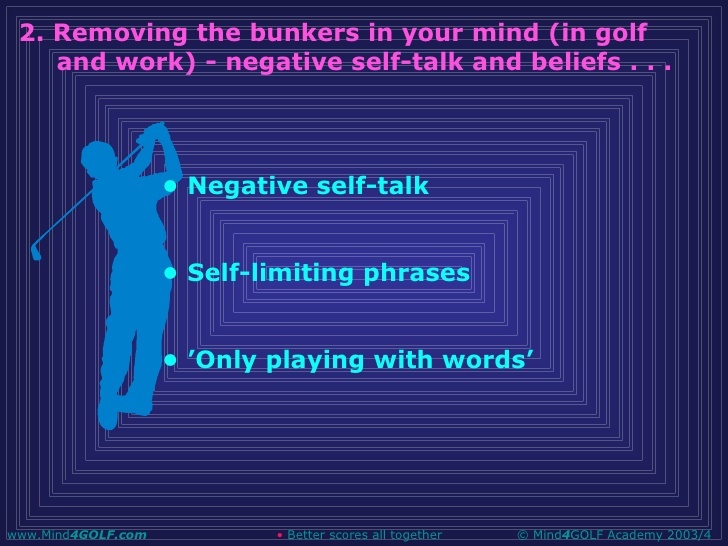 Why do golfers use negative self-talk and what can you do to prevent...or at least control it? In a previous article, Golf for Beginners offered ways to improve upon the way we think and speak to ourselves during a round. Today, instead of lurking within the realm of the Twilight Zone, let's just take a look at some of the ridiculous things we say to ourselves. Maybe if you read this rhetoric out loud, you'll be able to stop before the downswing, flip it around to something more positive and improve your confidence and your game! Here are a few funny and oh so true thoughts that go through golfers' minds at different times on the course. 1. I ALWAYS hit a bad shot on the first tee! 3. I can use my putter to go through that rough - isn't there four degrees of loft on a putter? 4. I can get this shot over that body of water - I don't need that extra club - this should do it. 5. (On the tee) - Don't aim for that bunker! Water on the right! 6. I don't need to carry a rain jacket today, there's only a forty percent chance I'll get caught. 7. Trees are 90 percent air. 8. This sure looks like my golf ball. 9. How many strokes was that... one in the water, so I'm hitting two, right? 10. . I don't need to punch out - I can clear that tree! So many more ruminations to mention like, "Keep out of the rough!" What self-talk do you utter during a round of golf? Share on our Golf for Beginners blog and on Twitter @Golf4Beginners. Which golf books are on your Memorial Day weekend reading list? Almost everyone has a few books lined up for lazy beach days, from "how-to" improve the golf swing to mental game tips, possibly with a New York Times best-selling fiction thrown into the mix. 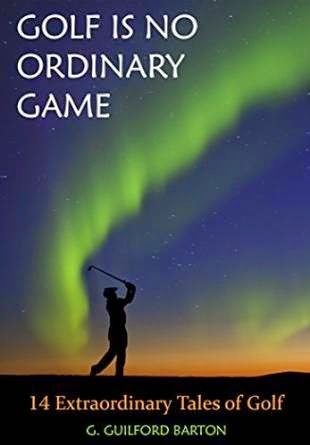 Since the start of 2015, although I have been reading books on game improvement, I have also been enthusiastic about fictional tales written by storytellers who weave golf into the mystery of life. This year, my first tale of machinations and conspiracies, Shari's Shot by noted author James Ross, proved to be a real page turner filled with intrigue and a plot which ended quite differently than I anticipated - kudos to James! My next page turner was "Performing Under Pressure: The Science of Doing Your Best When It Matters Most." Currently I am in the middle of "Golf is No Ordinary Game" by G. Guilford Barton. Have you read it? Each of the fourteen tales is its own chapter and takes the reader into a world of imagination, science fiction and magic - similar to tales by renowned Twilight Zone creator Rod Serling but not as dark (so far) as The Night Gallery. So, if you are intrigued by a magical golf club that can change a life, wonder what it would be like to play golf with a clairvoyant caddie or, maybe, you're considering taking a train trip to get to your next golf destination, you may want to read this book before you pick up your next iron. The Golfing Bard (internet nom de plume for G. Guilford Barton) sells this book on Kindle for $2.99. The quick-read tales allow you to put down/pick up the book at intervals and begin a whole new journey with your next poolside margarita. 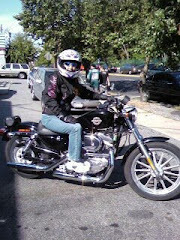 Enjoy and have a safe and happy Memorial Day Weekend! Which books are you reading this Memorial Day? Share on Twitter @Golf4Beginners and on this golf blog! Meeting and chatting with golf instructors on Twitter has great benefits for Golf for Beginners blog; they love to impart their knowledge of the game to willing students and we are happy to share this information for the benefit of our readers. With that said, guest blogger, golf coach Stephanie Wagemann (bio below), has sent in three easy tips to improve your game and lower your score. 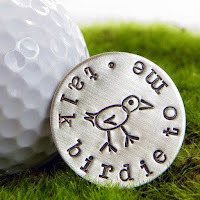 Birdies at TPC Sawgrass and How YOU can make more Birdies too! Wow! What an exciting finish at The Players Championship - TPC Sawgrass this past Sunday! Excellent conditions and great players led to plenty of birdies and some moving action coming down the stretch; most notably by the Champ himself, Rickie Fowler, who went 6-under in his last six holes with eagle, birdie, birdie on the famous holes 16, 17 and 18 to finish the tournament 12-under and put the pressure on the guys behind him. Rickie proceeded to make birdie two more times on the par 3, 17th hole island green to win the playoff and ultimately become The Players 2015 Champion. There is no doubt that Rickie’s play on that hole was a key to his win! Wherever you are in your golf game, here are three things to take away from watching the best player’s in the world. Apply these tips and let’s work on making some birdies! 1. Know your yardages: If you watch professional golfers on tour, you will realize very quickly that they know EXACTLY (I mean to the 1/2 yard) how far every club in their golf bag goes. Now, it may not be possible for the average golfer to be this precise, but, I have found most golfers have an extremely vague idea of how far they hit each club. Spending an hour on the range, hitting 5-10 shots with each club and figuring out the average distance each club in your golf bag flies will be an hour well spent and will get you closer to hitting more greens and making more birdies. 2. Have a game plan: When a tour player is competing in any tournament, they have a detailed, strategic game plan for every shot they want to hit while out on the golf course. They know exactly where they want to land the golf ball on the 17th green at TPC Sawgrass for each pin position they will play that week. Although you may not have pin sheets for every round, or plan out your rounds days in advance, you can and should pick a target for EVERY shot you play, keeping in mind where you want to play your next shot. When learning how to make a game plan for a golf hole, a great way to start is to think of playing the hole backwards. Start at the green, and think where do I want to be hitting from as I approach the green? Then, where will my target be off the tee to get to my ideal approach shot? Pick targets to hit targets to make more birdies! 3. More Control for More Precision: Watching the pros on Hole 17 at TPC Sawgrass this weekend, you may have noticed that many of them choke up on the golf club and make a shorter, more controlled swing. The reason for this is, the shorter the swing, the less room for error! A chip is easier to get close to the hole than a pitch shot or a full swing shot. Makes sense, right? Next time you face a shot into a small green that requires more precision, try taking one club longer than usual for that shot, grip down about one inch from the end of the club, and make a smooth 3/4 length swing. This will give you a bit more control over the golf club and add some more precision when the pressure is on. Let’s not let the pro’s have ALL the fun; you can enjoy watching them achieve greatness, and then go achieve greatness within your own golf games! Here's to your golf game and making more birdies! 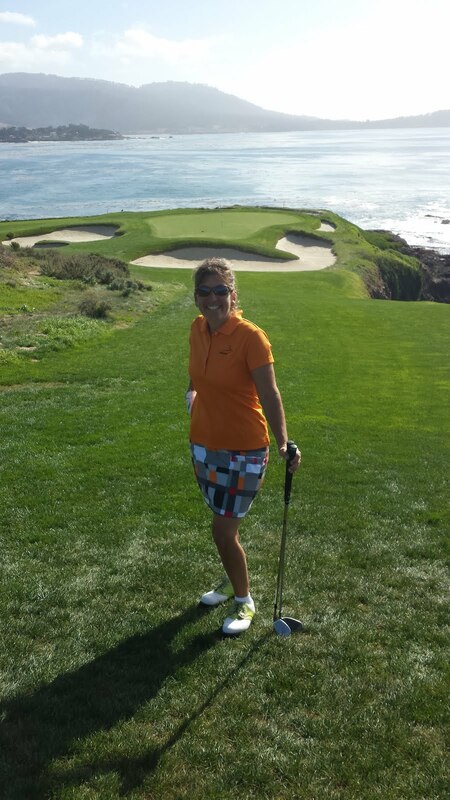 If you enjoyed reading these tips you can find Stephanie Wagemann sharing more golf instruction, coaching and insights at www.coachbirdie.com. Stephanie Wagemann is a former competitive golfer, college coach and Michigan golf instructor whose mission is to help beginners enjoy the game. Ask golf questions on Twitter to Stephanie on @CoachBirdTweets and to GFB on @Golf4Beginners. How many golf balls will find the water asked Golf Channel on Twitter, referring to the notorious 17th hole at TPC Sawgrass. The PGA Tour website is giving fans the opportunity to watch every single shot made at 17 and offers statistics on everything from who made the first ace at 17 to highlights of a caddie competition where Tiger Woods' caddie Joe LaCava went head-to-head with other notable club carriers at the Caddie Challenge. The 17th at TPC Sawgrass is definitely one of the more magical holes played during the year and The Players Tournament is certainly one of the most exciting tournaments for both pro golfers and the fans who love the sport...but, why is it so intimidating and when was the last time you saw a golf hole receive as much attention? NESN.com stated, "According to The Florida Times-Union, 17.6 percent of golfers have shot bogey or worse on the No. 17 in 33 Players Championships. That’s a staggering number for the best players in the world, just six of whom have aced the par-3." YourGolfTravel.com listed TPC number-17 par 3 as the sixth greatest hole in golf behind the seventh at Pebble Beach and Augusta's 18th hole noting, "The original island green is actually more difficult to hit than it looks thanks to the wind that swirls in unpredictable directions around the massive amphitheatre of trees in which the hole resides." For fans of the par-3, 17th hole at TPC Sawgrass, enjoy this memorable moments video from digging the dirt to create the hole to golfers making history with their exciting iron play. Are you keeping track of golf balls in the water at the 17th at TPC Sawgrass? Let us know the current count on Twitter @Golf4Beginners and on this Golf for Beginners blog. Ah, the scourge of the average golfer - elbow, knee, mid and lower back pains that never seem to go away flaring up during rounds with your foursome. What can sports enthusiasts do to keep their golf game in play in the face of bodily pain? Although many folks scoff at the thought that golf is a "physical" sport, consider Tiger Woods who has been in the news since 2009 with physical ailments from ACL (anterior cruciate ligament) reconstructive surgery to back spasms which caused him to excuse himself mid-tournament. After hobbling off the golf course at The Farmers Insurance Open, the former number-one player in the world was quoted as saying, "...my glutes shut off and then they don’t activate and, hence, it goes into my lower back." Considering professional golfers like Woods keep their bodies in motion by exercising or by practicing their efficiently mastered swings on a regular basis, the average golfer has a better probability of confronting physical ailments than the pros, opening themselves up to greater susceptibility to injury. Poor technique, lack of warm-up/conditioning or body strengthening all contribute to a weakened system. When impacted over the long term, stretching just isn't an option anymore. Of course you can always give up the game but, if you're like most of us golf fanatics, that's not an option. So what can you do? If you have gone beyond the threshold of light pain management and the Advil or Aleve just isn't working for you anymore - it might be time to consider physical therapy as an option. "However far modern science and technics have fallen short of their inherent possibilities, they have taught mankind at least one lesson: Nothing is impossible." Lewis Mumford, Technics and Civilization, 1934. Have you ever heard of CAREN? One of the latest advancements in science, CAREN (Computer Assisted Rehabilitation Environment) is a virtual reality system which treats and rehabilitates people with walking, back pain, posture, balance, spinal stability and motor control issues. Described as feeling as if you are in a Star-Trek holodeck, CAREN boldly goes where no therapy has gone before. This breakthrough in science comes complete with 360 degree cameras and a force plate which measures your movements as you immerse yourself in a virtual world of exercise and games designed to offer live feedback to help understand, and improve, your performance. An FDA approved treatment for neuromuscular disorders, this non-invasive treatment accelerates the healing process via high pressure sound waves. Especially useful for chronic plantar fasciitis, more commonly known as that bane for golfers -heel pain, EPAT or ESWT treatment goes beyond exercise by stimulating the cells to produce cytokines and chemokines which helps the body to produce mast cells and collagen and repair tissue structure to the area. As yoga master Pam Werner aptly stated, "our feet are our body's foundation as well as the tools of our mobility." Rehabilitation should not be a chore but instead, should be something looked forward to, in anticipation of getting back out onto the fairways with renewed passion! Adapted from NASA astronauts training in a reduced gravity environment, Alter-G is not your average gym treadmill! Air pressure encloses the user in a "bubble" to simulate lower gravity allowing rehabilitating athletes to run for longer stretches without impacting the body which is especially important for knee, hip or joint sufferers. 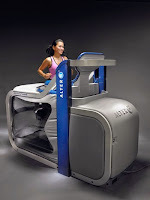 Among the beneficiaries of the Alter-G Antigravity Treadmill are members of the LA Lakers, Olympic athletes, long distance runners. Scientific advancements like CAREN may not give you superpowers but should help you relieve your aches and pains so you can continue to enjoy the fairways of life. What types of physical therapy treatment do you currently use to help keep you on the golf course? Do you have questions about physical therapy? Ask the experts where we learned about these new technologies - New York Dynamic Neuromuscular Rehabilitation and Physical Therapy. Reach them on their website: http://nydnrehab.com/. Dr. Lev Kalika revolutionized how back pain and other motor disorders are treated by introducing Dynamic Neuromuscular Stabilization (DNS) at his New York City’s Bryant Park practice. Let us know how you manage your pain on Twitter @Golf4Beginners and on this Golf for Beginners blog. Have golf drivers really changed that much in the past few years and, do beginners really need the latest technology? In an article from several years ago, Golfdigest.com claimed that, due to technological advances, the driver is "the most obsolete club in the average golfer's bag." Members in an ongoing Golfwrx.com forum on the topic state the opposite, except for the advancement of the 460cc head. 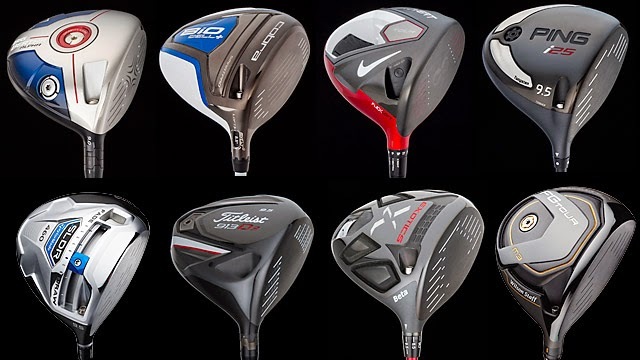 Just because club manufacturers may have introduced three new models in the past year with thinner heads and more adjustments, does that mean golfers need to go out and purchase a new driver every year? From the hottest Titleist 915 D2 to the newest Callaway Big Bertha with all of the "bells and whistles" from weight to loft adjustment, selecting a golf driver to suit your game has certainly become a daunting task. Which club is best for a beginner, which should be chosen by a more seasoned player and how do you decide which is best for your swing? Although there are drivers designed for every type of player, swing and speed, there are clubs made specifically for a newer player, golfers more apt to hit off-center or to be off balance. A newer player should not be saddled with letting the club draw the ball - this lesson should be taught to you by a professional instructor. DO YOU NEED AN ADJUSTABLE DRIVER? Instead of running through a store grabbing drivers that you might have seen on a commercial, in Jordan Spieth's hand at the Masters, or regaled about by golfers on social media sites, try a demo day or head over to your local golf store for a free custom club fitting and try swinging a few clubs in a hitting booth. One suggestion when finally deciding on a driver? Make sure the shaft is the right one for you. Have a professional measure you for correct length and that the shaft weight and flex are in tune with your game. Ready, get set go! Golf for Beginners has chosen three drivers to update our 2013 article "Which Golf Drivers Are Best for Beginners?" that should make it easier to instill confidence for beginners as well as for the average amateur on the golf course. 1. Callaway XR Driver: When I switched from my Titleist 905T to the Callaway X2 Hot (hot, hot), I buried my face in my hands, wondering if I would ever hit the ball as long as I did. After several swings of the driver, I put the Titleist in the bag of clubs collecting dust in the garage. This XR Driver is built for speed and has less face weight with R•MOTO Face Technology. This Callaway is quite a looker, its lightweight and aerodynamic and, when you need a bit more loft or change of lie, it is available to you. 2. 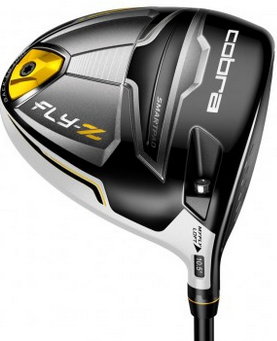 Cobra Fly-Z Driver: Another driver company which believes that making the club lighter and redirecting weight will have you hitting like a pro. 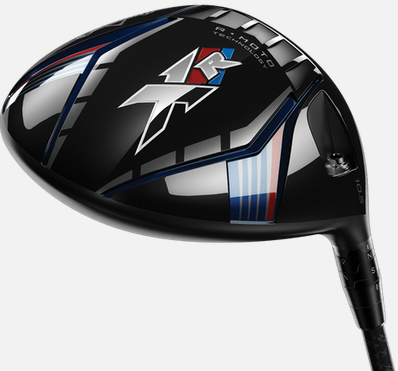 Cobra claims ultimate forgiveness for off-center hits and a face that turns heads. Beautiful colors but my only concern for less experienced players is choosing from all of the loft and swing weight variations available. 3. Ping G25: Although Ping makes three different G30 models, I tried the G25 and believe that this is a driver which you can grow into. 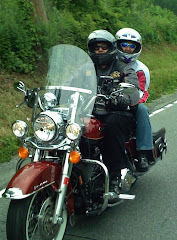 Solid trajectory and forgiveness inspire confidence. Although I finally selected the Callaway X2 Hot driver for my swing, I did choose the new Ping Karsten Irons as my set...and love them. Ping has its own fitting system so it is important to visit a golf store like PGA Tour Superstore if you are interested in trying this club. A fitter is on-hand ready to unscrew head from shaft and talk to you about your game and your needs. Which golf drivers have you tried and which did you finally decide on? Are you happy with your decision? 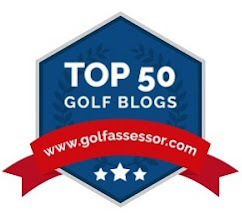 Let us know on Twitter @Golf4Beginners and on this golf blog.